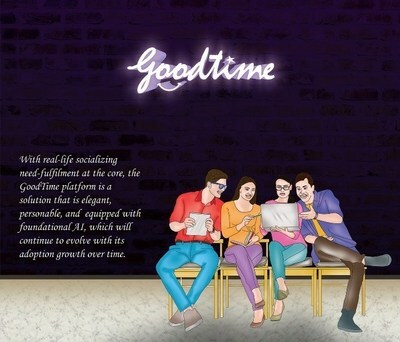 The GoodTime application is an effort toencourage and turn the virtual, individualistic social interactions into collectivistic real-world social experiences. Its main task is to relieve decision fatigue associated with organizing a get-together using a single application to handle multiple tasks. User data protection is its another key strength.